Welcome to Downtown Flagstaff! You've come to the right place. With unique shopping, lodging, dining, and some of the best art, entertainment, events and education in the region, Downtown Flagstaff offers authentic experiences for everyone. 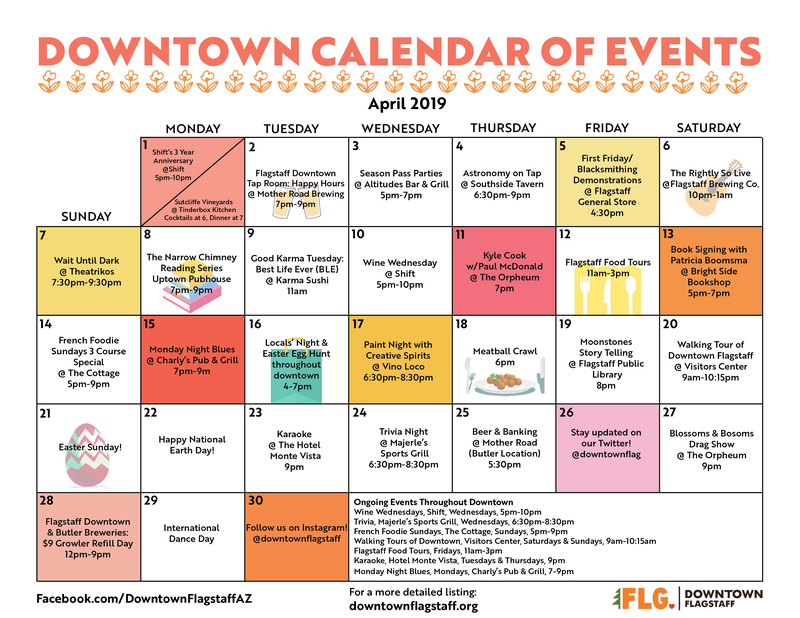 Check out our downtown events for April!